In Xanathar's Guide to Everything, there are environment-specific encounter tables for various PC levels. In the Desert Encounters (Levels 11-16) on pages 96-97, the result of 36-40 is "1d6 square miles of desert glass", but I can't find that term mentioned anywhere in this book or any others. So first, what is it? An expanse where the ground has been turned into glass? Is it an environmental hazard? An mere oddity to wonder at? What does this "encounter" mean for the players? The only-time "desert glass" is mentioned anywhere in the 5e rulebooks is in that "36–40" row of the "Desert Encounters (Levels 11–16)" table at the top of XGtE p. 97. 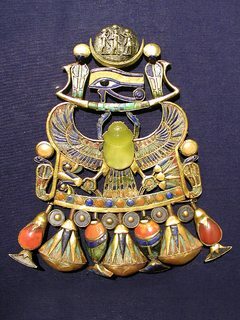 There are various types of natural glass found in deserts. 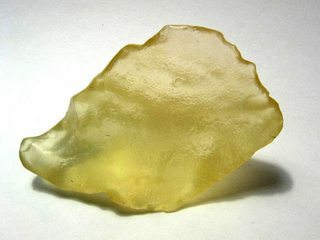 Desert glass can be formed from the silica in sand as a result of lightning strikes or meteor impacts. Given that it has no special game meaning or effect, you might wonder why it's in the table. Only the designers can say for sure, but I suspect it's there just for flavor - perhaps the players will find it intriguing, or they'll give it a passing look and move on. No more details are provided, so it's up to the DM to adjudicate whether it's worth anything or what the PCs might be able to do with it (e.g. managing to retrieve some and maybe sell it or get it refined). A circular patch of black ice on the ground. The air temperature around the patch is warmer than in the surrounding area, and characters who inspect the ice find bits of machinery frozen within. A small shack almost hidden by the deep forest. The interior is empty aside from a large cast-iron oven. ...And so on. As you can see, several of these can be used by the DM as hooks for some other encounter or plot, but that's left to the DM. The same is true of the desert glass one. Not the answer you're looking for? Browse other questions tagged dnd-5e treasure environmental-hazards or ask your own question. What is a Treasure Hoard and when is it apropriate to award one? What is the test for physical damage from cold weather / frostbite? What sort of insulation and/or protection does the spell “Secure Shelter” offer? Assuming your PCs can breathe underwater with a spell, what is the maximum depth they can go without assistance? How can I determine how much of the loot the PCs find? Will the effects of light shine through glass? What damage does one’s clothes bursting into flame deal, and what is needed to put it out? What's the best option to magically sustain a desert caravan?